Abstract: Many of the current DDoS attacks are organised by youngsters, often between 15 and 18 years old. Via booters and other “DDoS as a Service” websites they attack gamers, schools, banks and others. But why have banks and other big organisations so many problems to protect against these attacks? How do these attacks look like, and can scientists help to make the Internet a bit safer? In this talk an overview is given of some current research regarding detection and mitigation of DDoS attacks. Details are given how to measure the number of systems that are under attack, how attribution of such attacks is possible by using fingerprints, and how mitigation techniques like black-holing are being applied. Bio: Aiko Pras is Professor at the University of Twente (UT), the Netherlands, where he is member of the Design and Analysis of Communication Systems (DACS) group. His research interests include Internet security, measurements and management, with a focus on Flow-based measurements, DDoS defence, DNS and anycast. He has chaired the IFIP Technical Committee on "Communications Systems" (IFIP-TC6, 2013-2017), as well as the EU Future Internet cluster (2012-2014). He has been coordinator of the European Network of Excellence on "Management of the Future Internet" (FLAMINGO, 2012-2017), and is currently "Beirat" of the CODE Cybersecurity research institute in München. He has been Series Editor of IEEE Communications Magazine, Associate Editor of TNSM and JNSM, and is Steering Committee member of many conferences, including IM, NOMS, CNSM, Networking and TMA. Abstract: In the first keynote to WTMC, Paul Vixie highlighted the need for commitment for Internet measurement, especially for Source Address Validation (SAV), an Internet best current practice necessary to prevent attacks which rely on the attcker's ability to send packets with fake (spoofed) source addresses. Unfortunately, measuring SAV requires a measurement vantage point within each network, making SAV the hardest security policy to measure in the Internet. In this talk, I will lessons learned over the past three years of CAIDA's Spoofer project, a crowd-sourced open-source measurement system which supports data collection from volunteers to increase visibility into SAV policy throughout the Internet. Over the past three years, the project has collected more than 400K measurements, and used these measurements to drive remediation in affected networks. We describe case studies, technical challenges we encountered building the system, and ongoing work in increasing the effectiveness of our remediation effort. 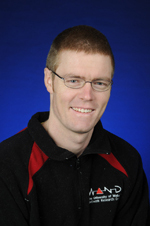 Bio: Matthew Luckie is currently a senior lecturer in the Computer Science department at Waikato. Prior to that, he was a research scientist (2014-2015) and a postdoc (2012-2014) at CAIDA, UC San Diego, and a lecturer (2006-2010) / senior lecturer (2011) at the University of Waikato. He is the author of scamper, a packet-prober used in the Ark project at CAIDA and Dyn Research to collect IP-level Internet topology data. His research interests include collecting and analysing router and AS-level Internet topology data, routing and performance in IPv6, troubleshooting of IP networks, particularly TCP performance issues and deployment of Source Address Validation (BCP38) via the spoofer project. Abstract: Dr Andrew Moore discusses the critical role reproducibility has played across science and the manner in which repeatability must be exploited in ongoing network research. With a background of enabling repeatable research through data-set release, and current lead of the open-source hardware/software NetFPGA project, Dr. Moore will draw on insights from past projects to discuss issues of repeatability across topics in networking. With the important rise of applied machine-learning in network control and the societal awareness of the importance of cybersecurity; particular focus will be given over to work on barriers to measurements for cybersecurity research, machine-learning based control of networks and the challenges repeatability will create in the future. Bio: Andrew W. Moore, Reader in Systems of the Computer Laboratory (Department of Computer Science and Technology), is a Chartered Engineer with long running interests in the use of measurements to understand and manage constrained resources, this specific topic has not prevented Andrew having work ranging from high-performance computer interface design, through system architecture, to physical line coding for novel optical networks, reconfigurable systems for network research, teaching, and prototyping, and early work applying machine-learning to network control problems. Throughout this work Andrew has been a champion of repeatable research principally through making widely available both the datasets and detailed methodology of research he and his group at Cambridge have published. Andrew is the current lead of the NetFPGA project a successful effort to support an open-source hardware/software combination to the winder research, education, and prototyping community. Computers and open communication networks have become increasingly interwoven with our daily lives and have profoundly changed our societies. While this has significantly increased people’s well being, our growing dependence on an increasingly pervasive, complex, and ever evolving network infrastructures also poses a wide range of cybersecurity risks with potentially large socio-economic impacts. From this perspective, network traffic measurements and monitoring have become a crucial line of research. It enables to enhance our understanding of cybersecurity threats and use this knowledge to further develop new ways to detect and mitigate them. Network traffic measuring and monitoring can, for example, enable the analysis of the spreading of malicious software and its capabilities or can help to understand the nature of various network threats including those that exploit users’ behavior and other user’s sensitive information. On the other hand network traffic investigation can also help to assess the effectiveness of the existing countermeasures or contribute to building new, better ones. Recently, traffic measurements have been utilized in the area of economics of cybersecurity e.g. to assess ISP “badness” or to estimate the revenue of cyber criminals. Papers will be accepted based on peer review (3 per paper) and should contain original, high quality work. All papers must be written in English. Authors are invited to submit regular papers (maximum 6 pages) via the workshop submission page https://sigcomm18wtmc.hotcrp.com. Papers must be single-spaced, double-column, 10pt font format. Authors are encouraged to use the latest ACM SIGCOMM template, that can be found at the ACM SIG Proceedings website. Failure to adhere to the page limit and formatting requirements will be grounds for rejection. Submission of a paper implies that should the paper be accepted, at least one of the authors will register and present the paper in the conference. Papers accepted by the workshop will be published in the Conference Proceedings published by ACM SIGCOMM. The extended versions of all accepted papers will be considered for publication in a special issue of the Journal of Cyber Security and Mobility (confirmed). The decision will depend on the quality of the paper and quality of the presentation at WTMC 2018. The final decision will be made by co-chairs after the workshop. The official publication date is the date the proceedings are made available in the ACM Digital Library. This date may be up to TWO WEEKS prior to the first day of the conference. The official publication date affects the deadline for any patent filings related to published work. Attendance of the workshop is by open registration and subject to the same registration fees and rules as all the other SIGCOMM 2018 workshops. The registrants of the workshop may freely attend any workshop on the same day. For the final paper to be published, please refer to Camera-ready instructions for workshops.